The deep and enduring friendship between Vincent and Theo Van Gogh shaped both brothers' lives. Confidant, champion, sympathizer, friend—Theo supported Vincent as he struggled to find his path in life. They shared everything, swapping stories of lovers and friends, successes and disappointments, dreams and ambitions. 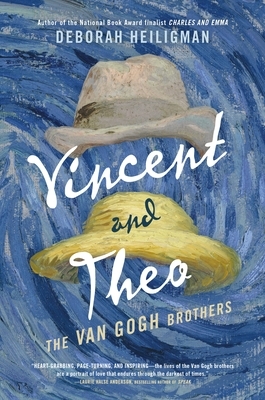 Meticulously researched, drawing on the 658 letters Vincent wrote to Theo during his lifetime, Deborah Heiligman weaves a tale of two lives intertwined and the extraordinary love of the Van Gogh brothers. Deborah Heiligman has written many books for children, including National Book Award Finalist Charles and Emma: The Darwins' Leap of Faith; Boston Globe-Horn Book Award Winner Vincent and Theo: The Van Gogh Brothers; and The Boy Who Loved Math. She lives with her family in New York City.